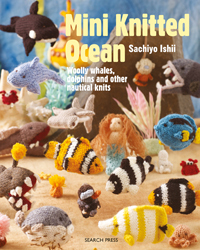 In February every year, Knit Now magazine publishes the all British issue. 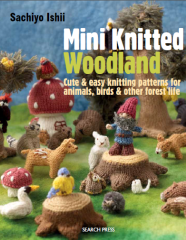 It is to offer readers a chance to get to know yarn produced in the UK. Many designs are also related to something British. Last year, I did this one: St. George and the Dragon. This is from the issue last February. I am very fond of this photograph. It came out very nicely. This year, I decided to submit our Queen’s favorite corgis, which I have posted some photos previously. The pattern includes two cushions and the rug. The cushions can be used to keep your pins and sewing needles. I suggested some yarn to the editor, but the ones I believed British all turned out to be non-British. That told me how little I knew about British yarn! The editor’s choice was this yarn; Jamieson’s. I did not know this wool at all. You don’t see them in high street shops or online yarn retailers very often. However, I was so excited when I opened the link the editor sent me. So many colours! They also sell as little as 25g. 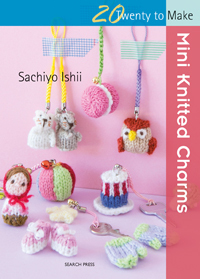 It is perfect for mini toy knitter like myself. The yarn is 100% wool produced in Shetland. It is not silky, baby soft wool like Merino, it is more robust. 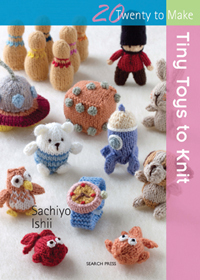 I found that it gives firmness and clean finish to knitted toys. It is lovely. 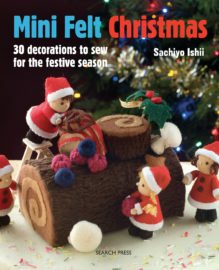 When I went to Tokyo recently, I visited the yarn shop owned and managed by Nihon Vobue-sha, one of the leading craft book publisher. The shop is called Keito, literally meaning yarn. And in the shop, I found these. I cannot tell you how excited I was to see these displayed! 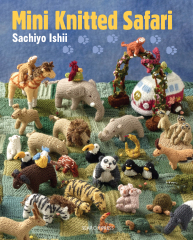 So far away in Japan, the Shetland wool is loved very much. The shop was full of beautiful coloured yarns and knitted samples. 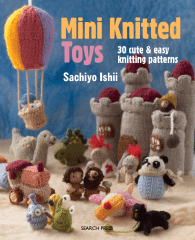 Knitters or non-knitters, you would want to pick up yarn and try to think what you can create with it. I am currently working on another project using Jamieson’s. I would love to run a workshop at Keito shop one day. Surrounded with all these lovely colours, that would be fantastic.